I love this quote. I love it because it is so true. Often clients think that they can handle a renovation on their own and often it’s because they just don’t know what is truly involved in embarking on a full scale project. The quantity of choices, options and selections can be overwhelming and difficult to navigate. Unfortunately, many people get confused or intimidated by the idea of hiring a professional interior designer or space planner. Maybe they are concerned about the process, as well as the cost of doing so. But, good design doesn’t happen by chance, it is carefully curated, planned and orchestrated to get the desired end result. You’re going to save money. Have you ever bought a piece of furniture that looked so good in the store, but was a too big or too small once you got it home? Have you ever painted three or four times trying to find the right color palette? The truth is that hiring a designer can help you avoid costly mistakes and help you make design decisions that will increase the value of your home. You’re going to save time. Using a professional will save you time and stress. We know what needs to be done, in what order and we have trusted sources to streamline the decision and design process. We have the experience to navigate construction timelines and obstacles which will save you time, money and more importantly, give you peace of mind. Instead of having to chose from hundreds of choices, worrying if you are making the right decisions, and if it will all look good, we take care of that for you. We will assess what you love, what will bring out the best in your space, and present options for you to chose from. We make the design decisions fun and exciting rather than stressful and overwhelming. You’re going to get professional assessment. When you hire a professional designer, you get an immediate plan of action for your space. A trained pair of eyes will see things you’re guaranteed to miss. Interior design is a balance of both art and science, and good interior designers understand both, so they know how to combine and blend both to create a finished, complete space. You are going to have a qualified liaison. A good designer will know how to speak the language when it comes to architects, contractors, and the trades. This is crucial in managing time and money. Strong communication between the interior designer and the construction trades is absolutely key. A good design plan, coupled with communication before and during construction, makes for an exceptional end result that reduces errors and issues as or before they arise. You’re going to have better resources and contacts. It is difficult to find good, reliable resources when renovating. But we have trade contacts that we have built relationships with over many years and multiple projects. Because of these long-term relationships, we work with reliable, quality contractors and trades that we trust and whom trust us. We also work with trade accounts that allow us access to products and fabrics not available to the general public. Because of these resources, we are able to create and curate a space for you that is unique to your home and not like anyone else’s. We are able to show you options that you may not even be aware of or combinations that you have never seen or thought about. We are able to push you outside of your comfort level into something even more spectacular, but still you. It’s what we do. You’re going to have wow factor. We have been designing interiors for over 20 years, so we are skilled at thinking creatively and spatially in order to see the overall picture. Thinking outside of the box is what we do on a regular basis. The quality and attention to detail that we provide addresses every element of design from proper lighting, furniture placement and selections, fabric choices, complete color palettes and fixture options, just to name a few. People notice a well-designed home. Try to do it by yourself, and you’re stuck juggling the many elements that a designer is specifically trained to do. And when they’re done, not only will your home look beautiful and cohesive, but it’ll be well thought-out and highly functional. And, well, who doesn’t want a “wow” factor or for that matter, any of the above benefits of working with a Professional Interior Designer. 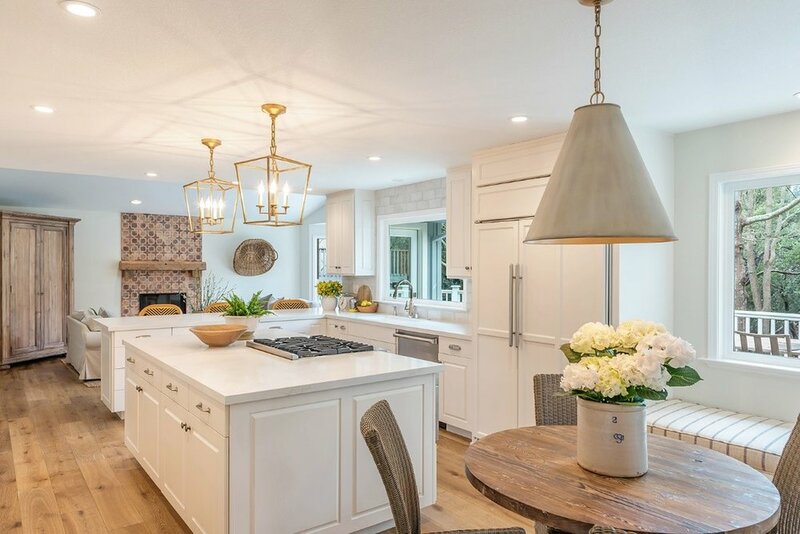 Tama Bell Design is an interior design firm with many successful interior design and space planning projects in Santa Rosa, Healdsburg, Petaluma and throughout Sonoma County.